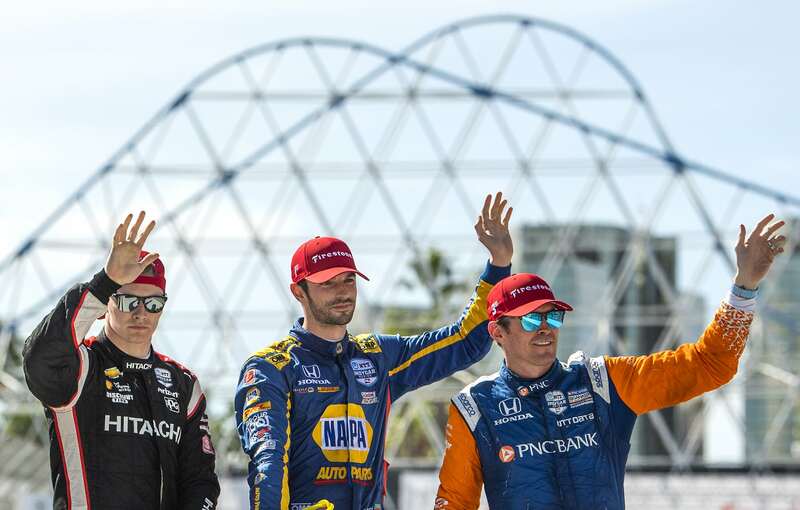 Alexander Rossi (C) places 1st, Josef Newgarden, (L) places 2nd and Scott Dixon (R) places 3rd celebrates with champaign during the Acura Grand Prix of Long Beach in Long Beach Sunday, April 14, 2019. Photo by Kelly Smiley. 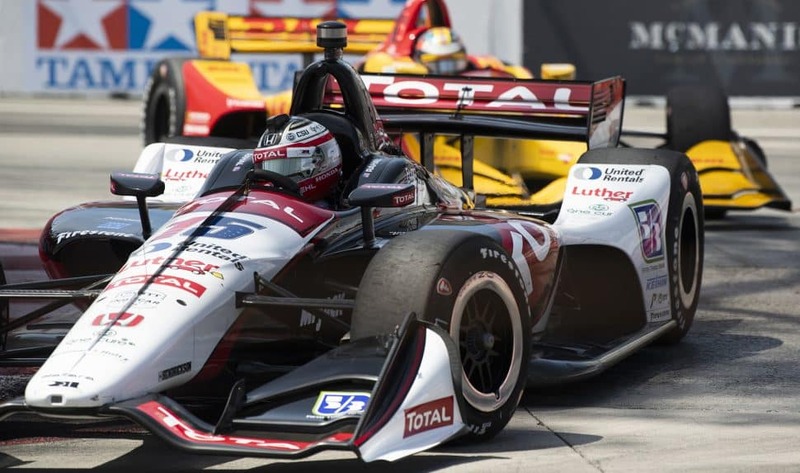 After 44 years of blue skies, the early forecast for Sunday’s 45th annual Acura Grand Prix of Long Beach threatened rain. By the time the weekend arrived, however, any fears about weather had burned away with the marine layer and once again the sun smiled on the city’s biggest event. 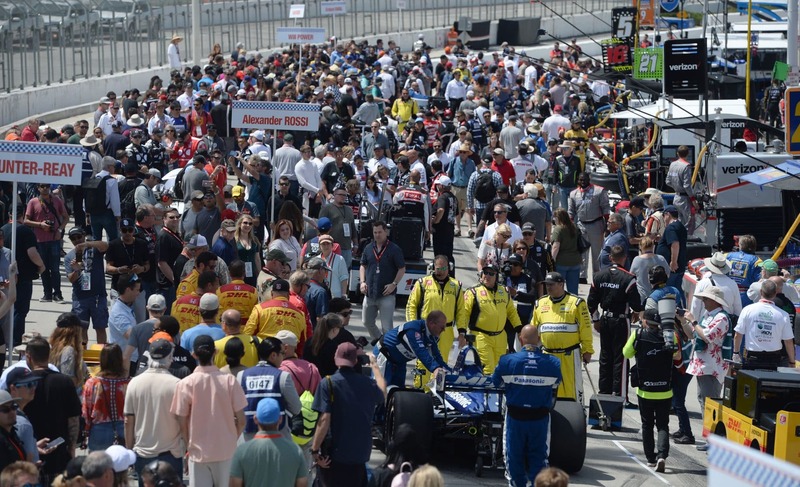 Race fans get a close up look at cars in pit row, before the start of the 45th Acura Grand Prix of Long Beach, Sunday, April 14, 2019. 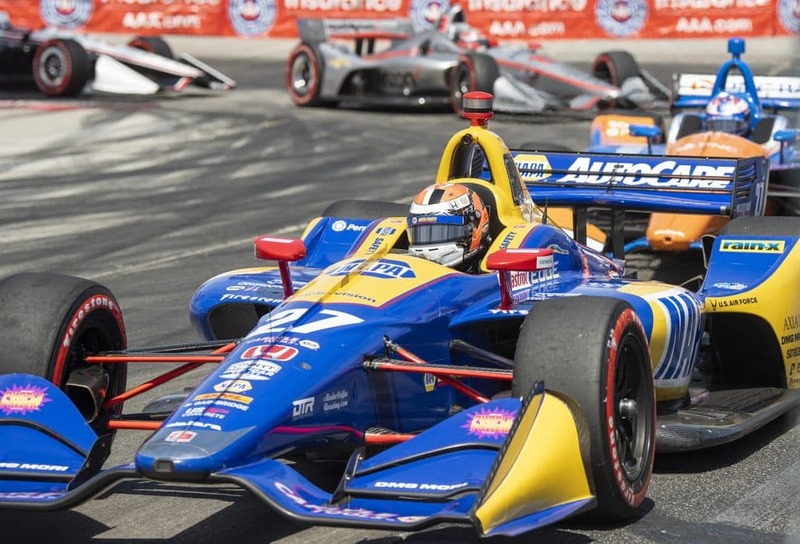 That sunshine fell favorably on California native Alexander Rossi, who had a perfect weekend and became the first repeat champion at the Grand Prix since since Sébastien Bourdais won the final three Champ Car races here from 2005 to 2007. 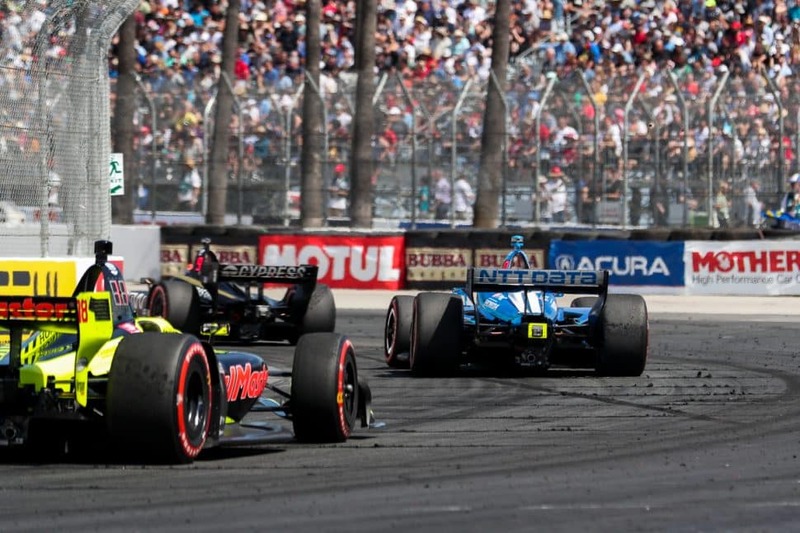 Rossi’s margin of victory, 20.23 seconds, was the largest margin of victory in Long Beach since Al Unser Jr.’s 23-second win in 1995. 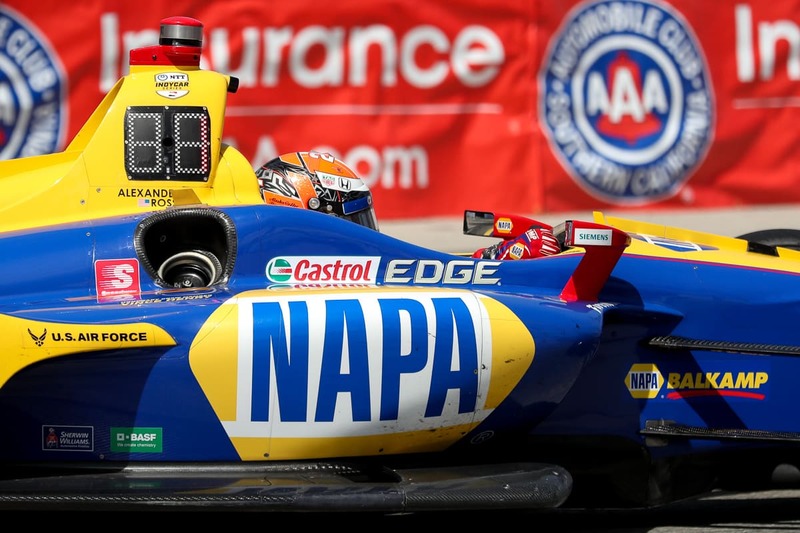 Rossi was the fastest qualifier Saturday and was happy to have pole position going into Sunday. 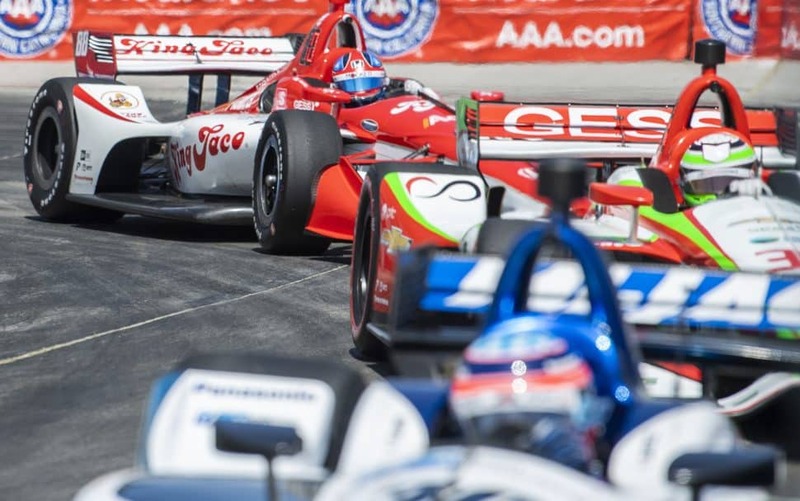 Behind him was Josef Newgarden, who ran a near perfect race himself but was never a serious threat to Rossi. 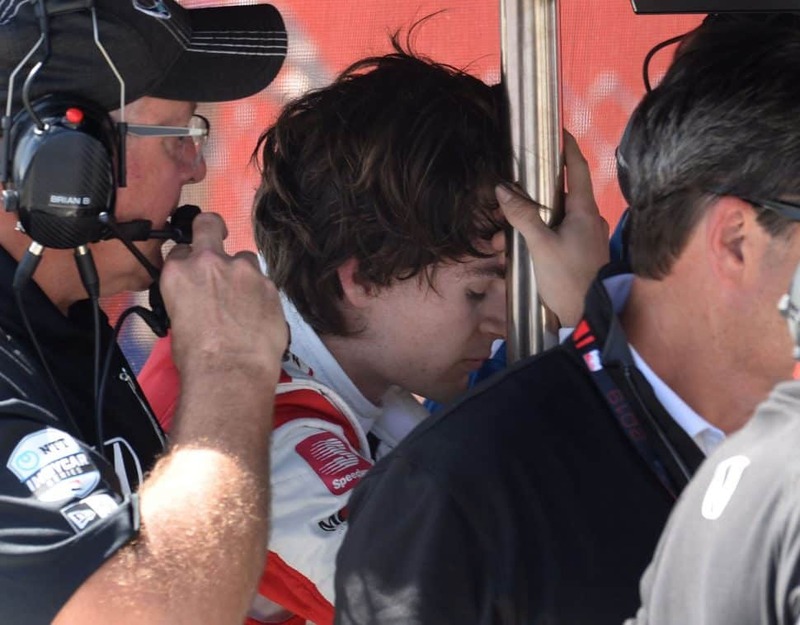 “We didn’t have anything for him today,” said Newgarden. Alexander Rossi, center, wins the Acura Grand Prix of Long Beach as Josef Newgarden, left came in 2nd and Scott Dixon, right 3rd as the three take a victory lap around the track in Long Beach Sunday, April 14, 2019. Photo by Thomas R Cordova. 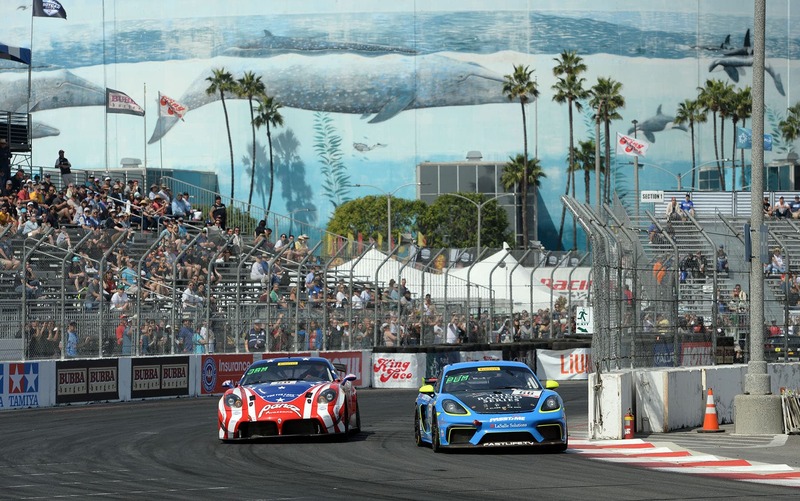 There was very little drama on Sunday, with only one full-course caution as three drivers in the back rolled up onto the vegetation around the dolphin fountain at turn two in front of the Aquarium of the Pacific in the early going. 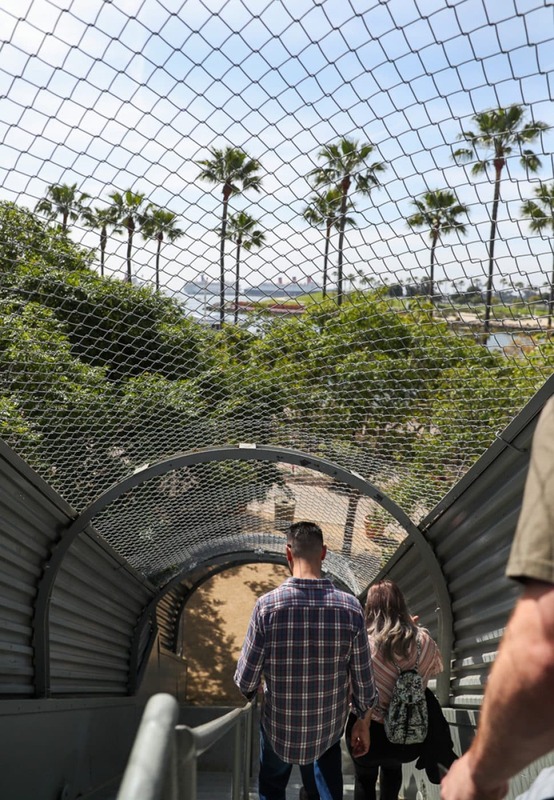 There should still be plenty of time for them to fix up the plants outside before the opening of the Aquarium’s new wing, Pacific Visions, on May 24. 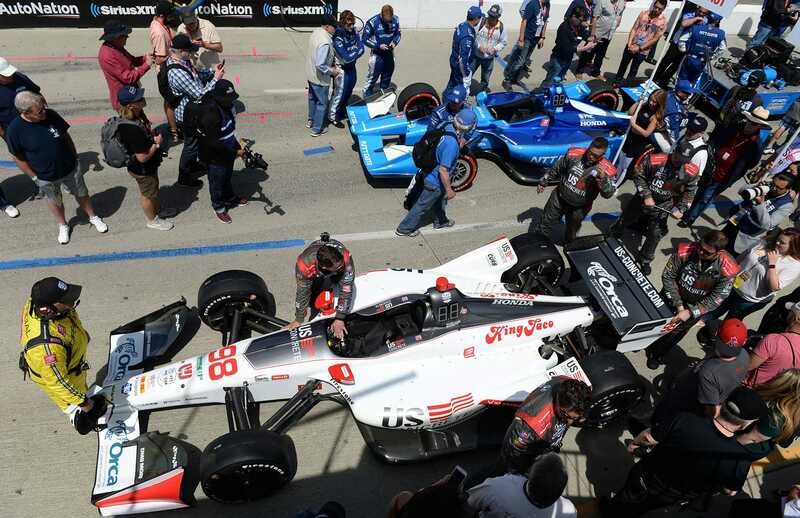 The most exciting moment of racing happened between third-place contenders Graham Rahal and Scott Dixon, who were battling for the podium’s final spot on the back end of the final lap when Rahal moved in front of Dixon, successfully keeping him from passing. On video review, he was called for an illegal block, and Dixon was awarded third place. The racing went so smoothly for Rossi that some were complaining about it. 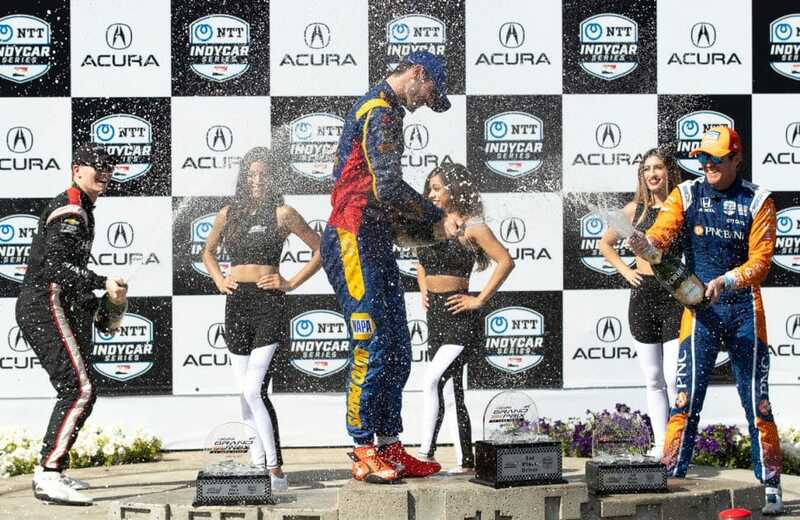 With only one minor contact at the Aquarium fountain, there weren’t enough restarts to knock him off his 167-mile victory parade. 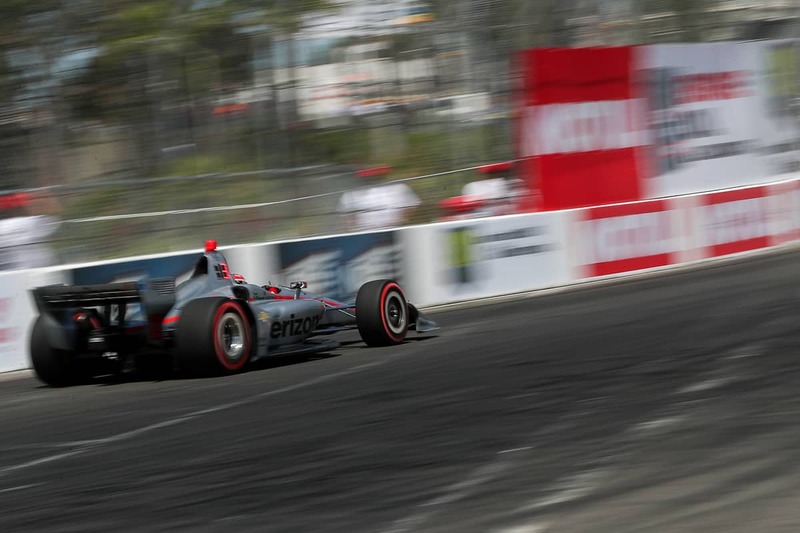 Dixon referred to the Long Beach course as “bland” because it doesn’t allow for enough passing, while Newgarden called it a “straightforward” race. 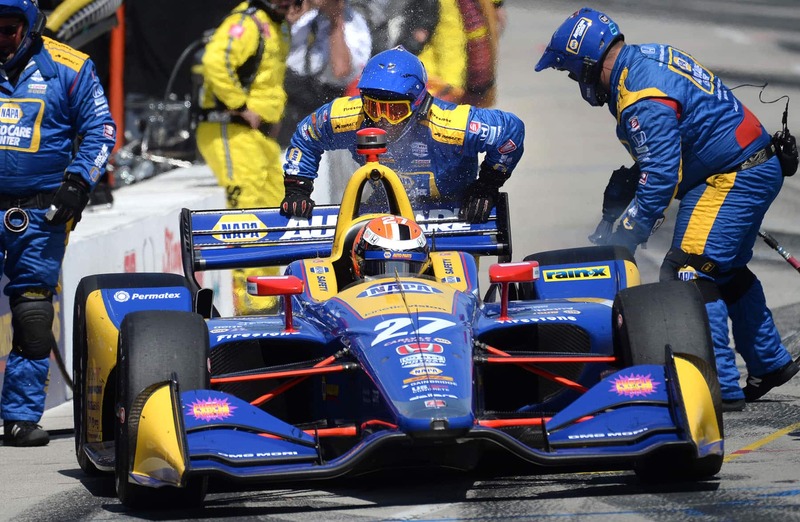 Driver Alexander Rossi, winner of the 45th Acura Grand Prix of Long Beach, during his last pit stop, Sunday, April 14, 2019. 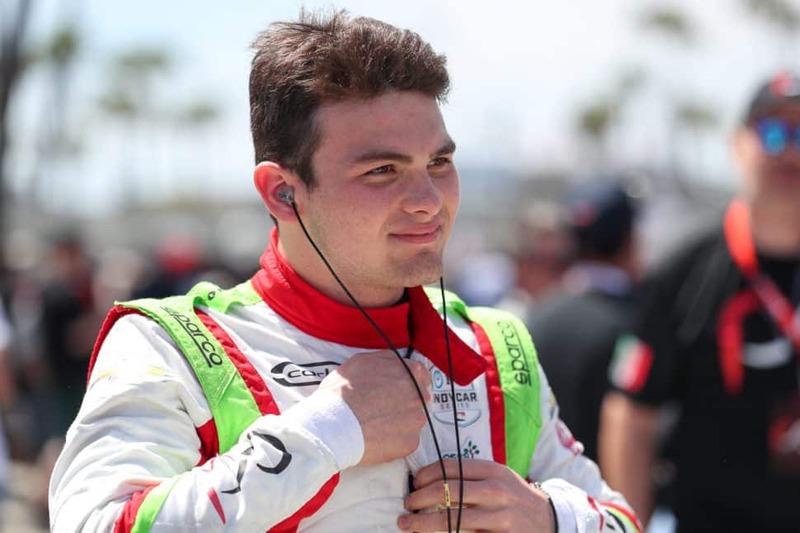 Andretti won the race himself in 1986 and 2002, and he and his father Mario (a four-time winner in Long Beach) are among the most beloved figures in the race’s history. 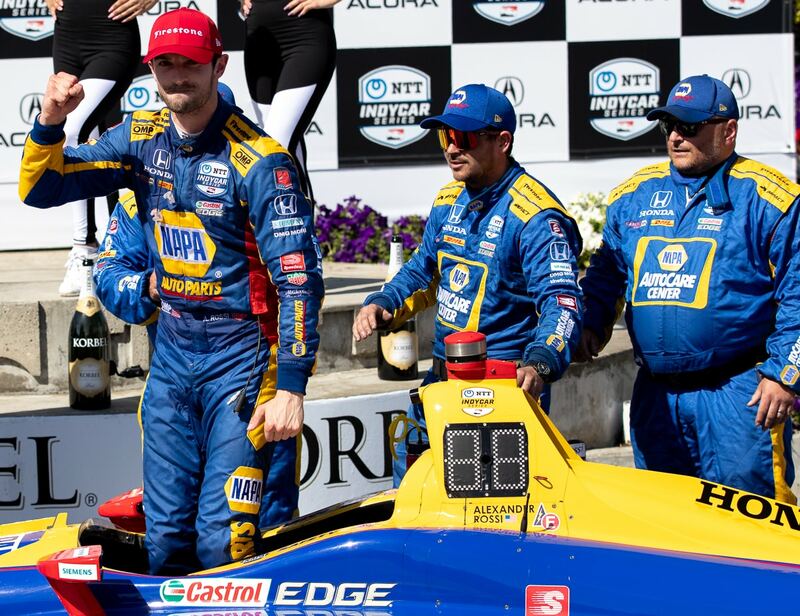 That was part of why Andretti said he was glad that Rossi gave Andretti Autosports its 200th IndyCar win this weekend. 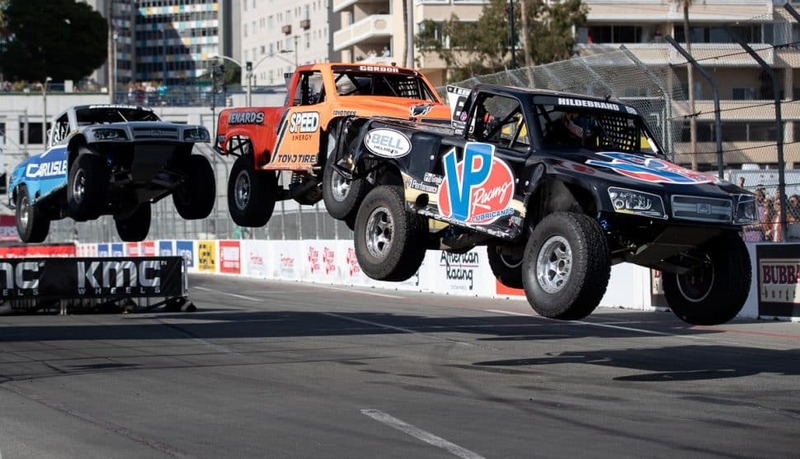 “It’s special for all of us to do it at Long Beach,” he said. The drama-free nature of the race didn’t necessarily extend to the massive law enforcement presence on hand. 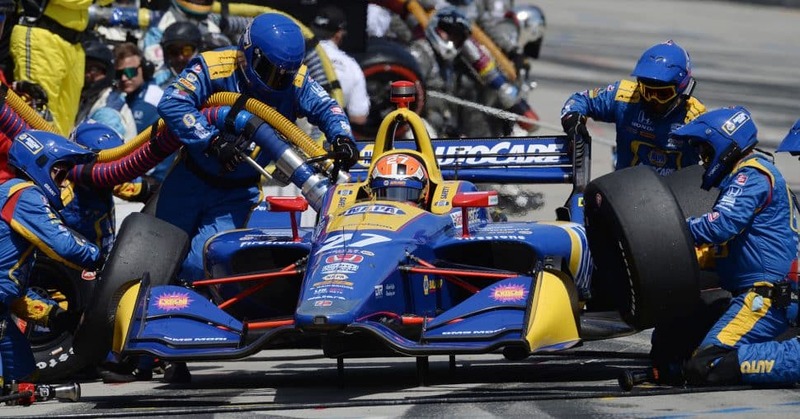 Police had to deal with a suspicious device report at the Promenade as the IndyCar race was drawing to a close Sunday. 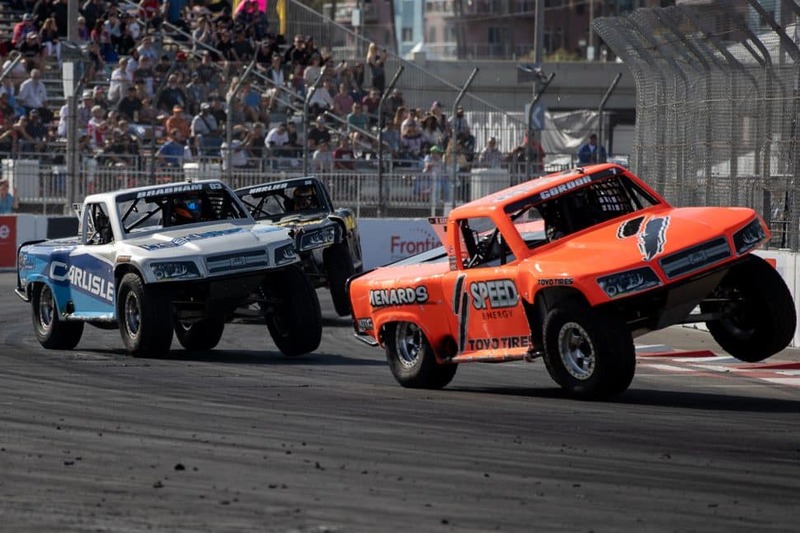 While it ended up not being a threat, portions of Downtown Long Beach were shut down temporarily to traffic, highlighting why Long Beach Police Department Chief Robert Luna said before the race that this is the most stressful weekend of the year for his crew. “There’s a lot of people and a lot of moving pieces for us, it can be a bit like herding cats,” he said on the track after accompanying Mayor Robert Garcia to the festivities’ opening. With six-figure attendance a yearly guarantee, it’s the city’s largest gathering and, as such, its largest security undertaking as well. “Especially in today’s climate, you just want to be sure,” said Luna. 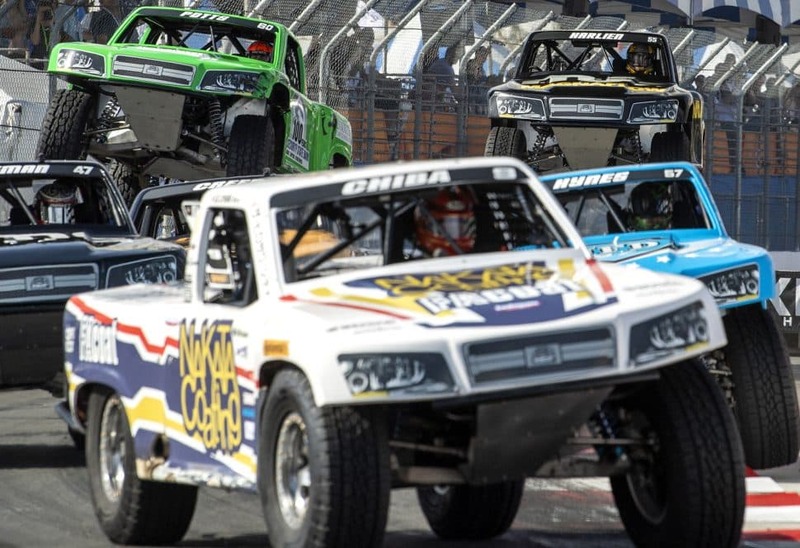 The final attendance numbers won’t be available until Monday, but Grand Prix Association of Long Beach president and CEO Jim Michaelian said preliminary indications were that the attendance would be up about 1% from last year. Cars zoom by during 2019 NTT IndyCar Series at the Acura Grand Prix of Long Beach in Long Beach Sunday, April 14, 2019. Photo by Kelly Smiley. 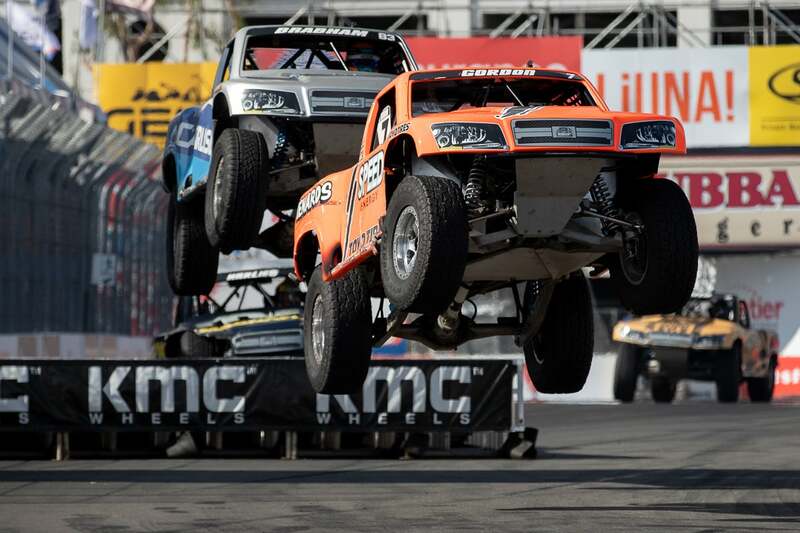 “Awaiting the final audit, it appears that this year’s event exceeded last year’s total of 185,300, which should put the total for this year’s event at about 187,000,” said Michaelian in a statement. Rossi laughed off the idea that with his big lead he’d have time to look around and soak in the atmosphere, but he said not every driver shared that philosophy. 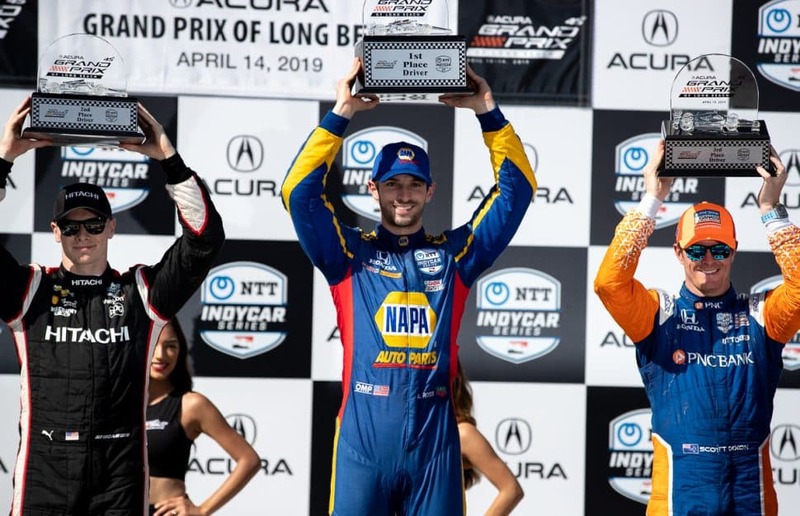 Alexander Rossi, center, wins the Acura Grand Prix of Long Beach as Josef Newgarden, left came in second and Scott Dixon, right third in Long Beach Sunday, April 14, 2019. Photo by Kelly Smiley. 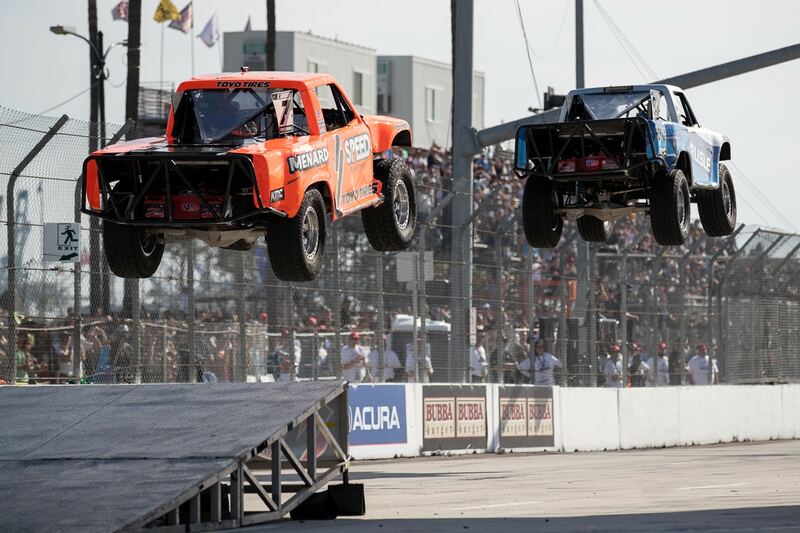 SPEED Stadium Super Trucks fly through the air during race #2 at the Acura Grand Prix of Long Beach in Long Beach Sunday, April 14, 2019. Photo by Kelly Smiley. SPEED Stadium Super Trucks turn the corner during race #2 at the Acura Grand Prix of Long Beach in Long Beach Sunday, April 14, 2019. Photo by Kelly Smiley. 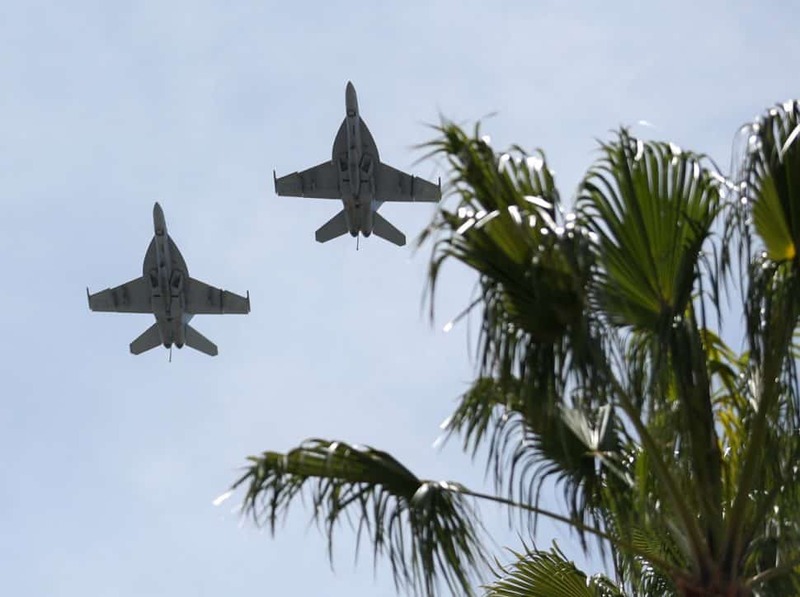 F18s do a flyover before the start of the 45th Acura Grand Prix of Long Beach, Sunday, April 14, 2019. 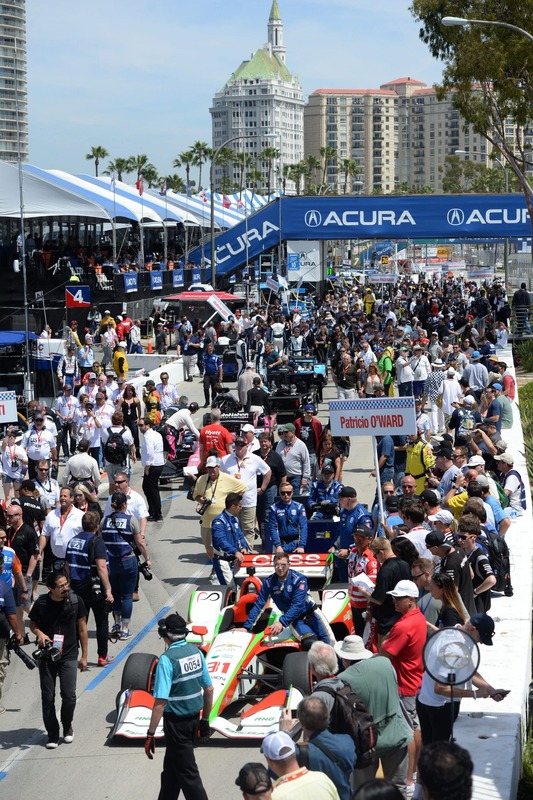 Cars head down pit row for the start of the 45th Acura Grand Prix of Long Beach, Sunday, April 14, 2019. 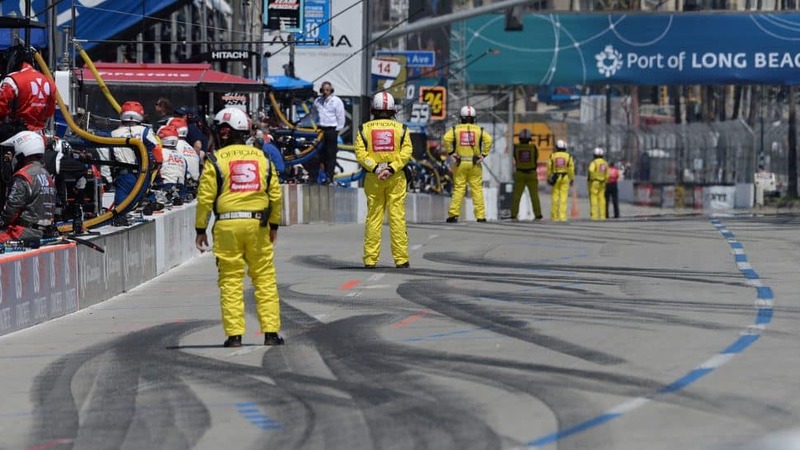 Race officials wait for cars to arrive in pit row, during the 45th Acura Grand Prix of Long Beach, Sunday, April 14, 2019. 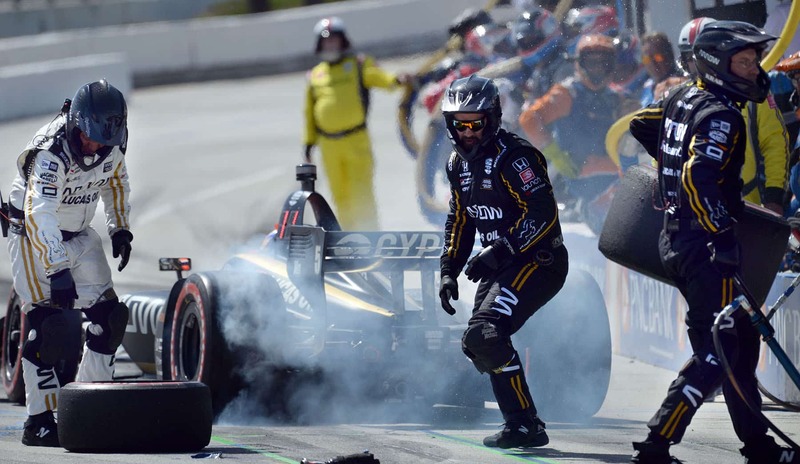 Driver James Hinchcliffe smokes his tires after pitting during the 45th Acura Grand Prix of Long Beach, Sunday, April 14, 2019. 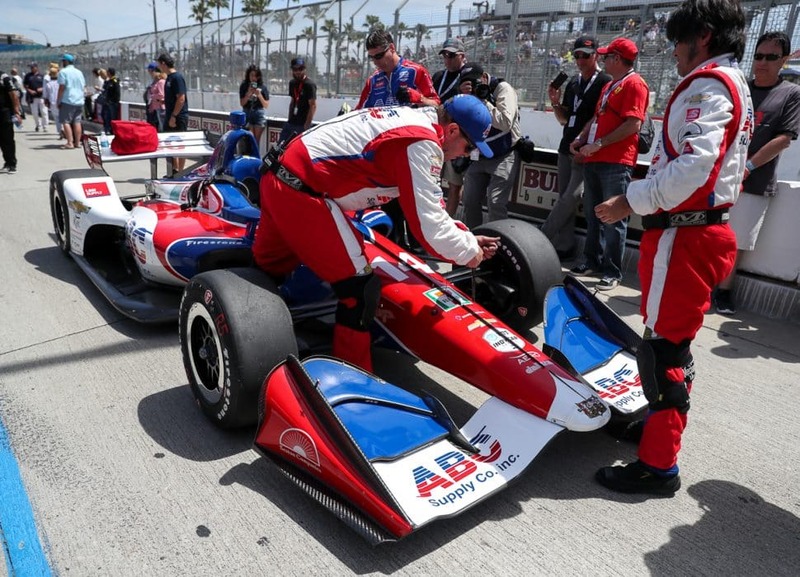 Driver Alexander Rossi, winner of the 45th Acura Grand Prix of Long Beach, pits for the first time, Sunday, April 14, 2019. Driver Colton Herta after his car was damaged and could no longer continue racing in the 45th Acura Grand Prix of Long Beach, Sunday, April 14, 2019. 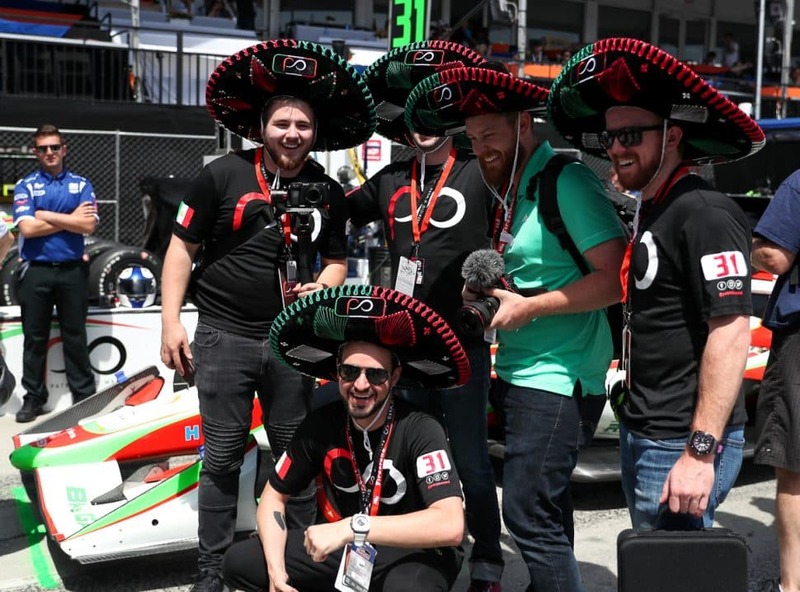 Acura Grand Prix of Long Beach goers smile for a photo in Long Beach Sunday, April 14, 2019. Photo by Kelly Smiley. 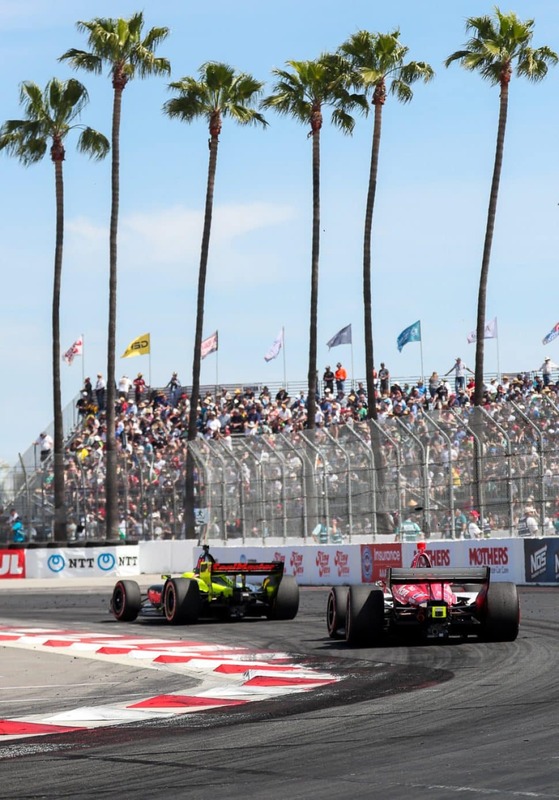 A view of the Acura Grand Prix of Long Beach in Long Beach Sunday, April 14, 2019. Photo by Kelly Smiley. 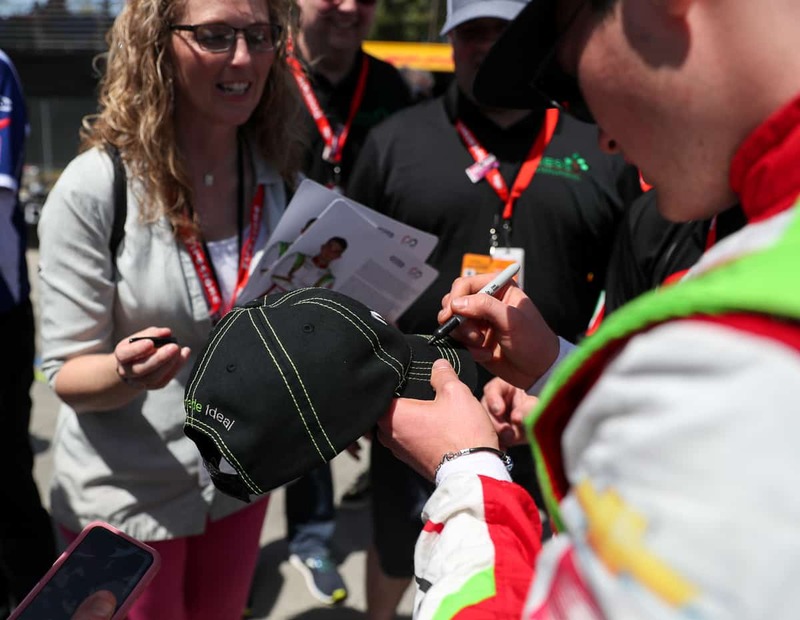 Patricio O’ward signs autographs before race #4 of the 2019 NTT IndyCar Series at the Acura Grand Prix of Long Beach. Photo by Kelly Smiley. 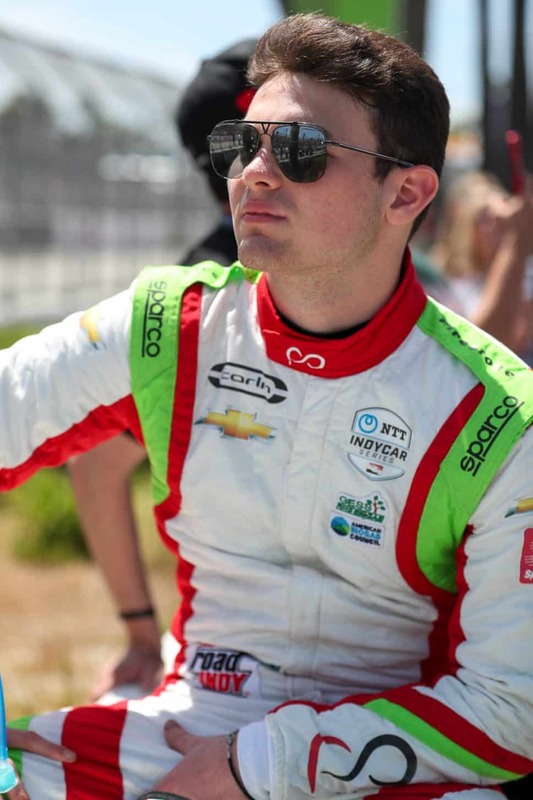 Patricio O’ward gets ready before race #4 of the 2019 NTT IndyCar Series at the Acura Grand Prix of Long Beach. Photo by Kelly Smiley. 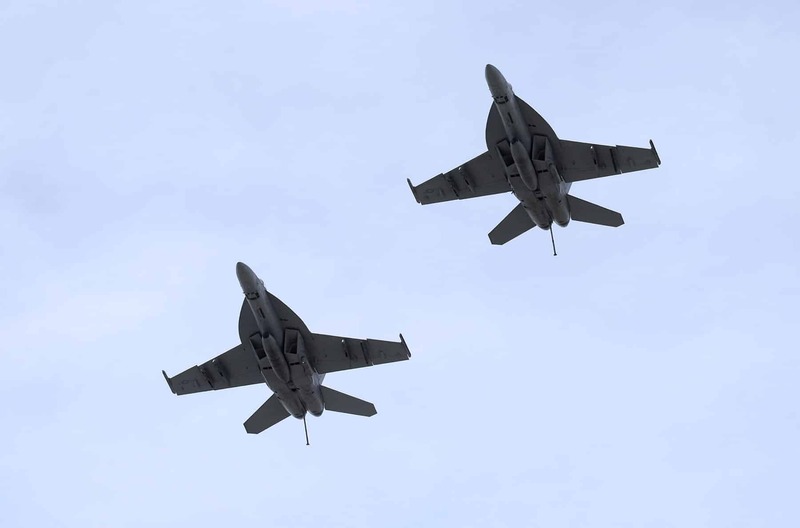 F18s do a flyover during the Acura Grand Prix of Long Beach in Long Beach Sunday, April 14, 2019. Photo by Kelly Smiley. 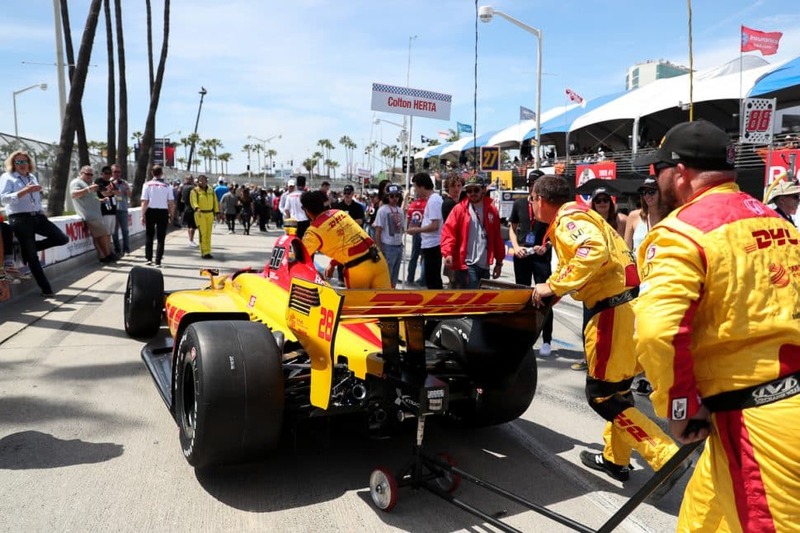 Patricio O’ward gets ready before race #4 of the 2019 NTT IndyCar Series at the Acura Grand Prix of Long Beach in Long Beach Sunday, April 14, 2019. Photo by Kelly Smiley. 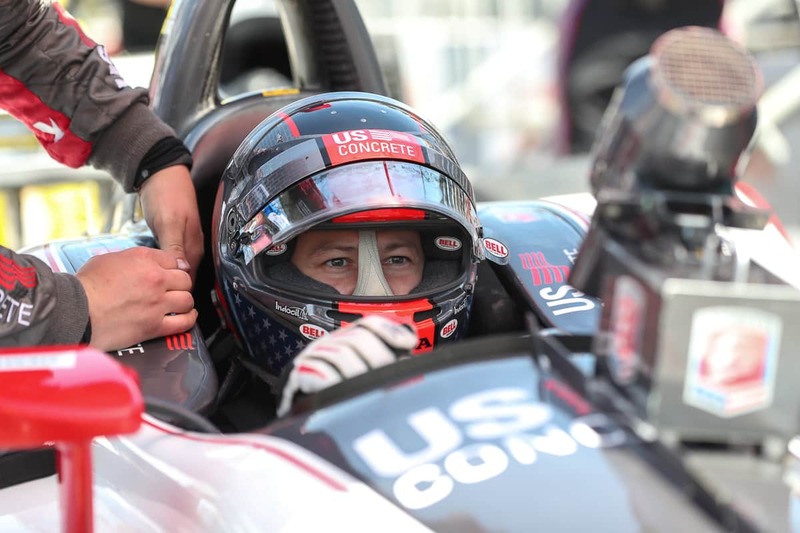 Marco Andretti gets ready before race #4 of the 2019 NTT IndyCar Series at the Acura Grand Prix of Long Beach in Long Beach Sunday, April 14, 2019. Photo by Kelly Smiley. 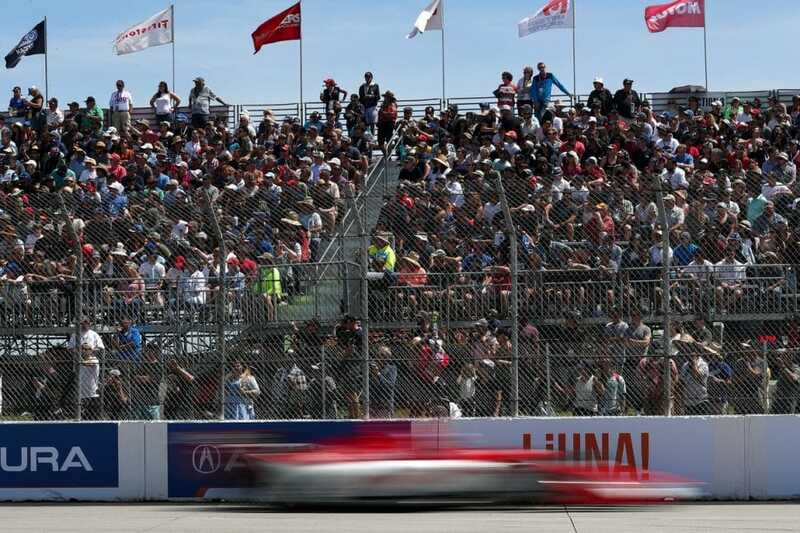 Cars zoom by during the #4 race of the 2019 NTT IndyCar Series at the Acura Grand Prix of Long Beach in Long Beach Sunday, April 14, 2019. Photo by Kelly Smiley. 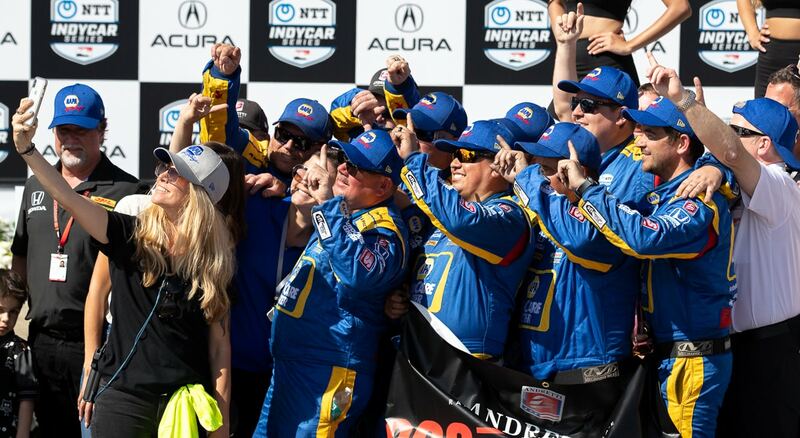 Alexander Rossi’s pit crew celebrate after Rossi won the 45th Acura Grand Prix of Long Beach, Sunday, April 14, 2019. 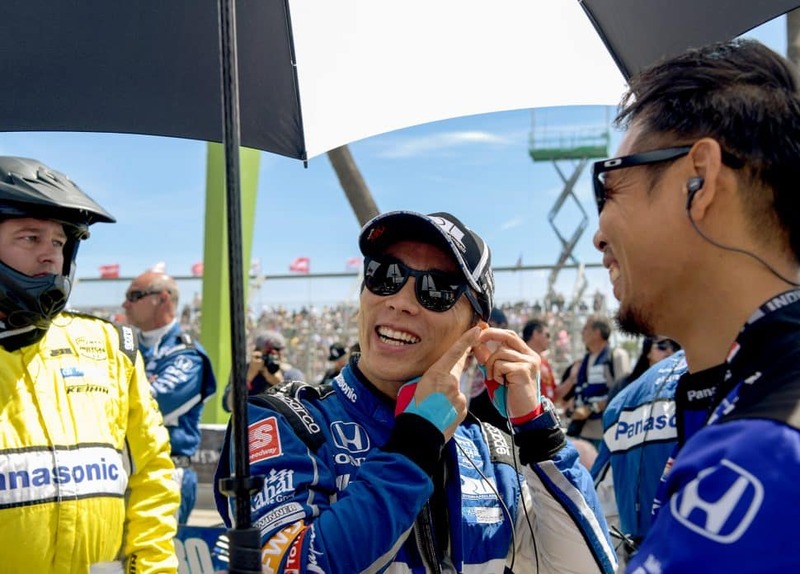 IndyCar driver Takuma Sato is all smiles as he prepares for the Acura Grand Prix of Long Beach in Long Beach Sunday, April 14, 2019. Photo by Thomas R Cordova. The Stadium Super trucks come through a jump as the last race of the Acura Grand Prix of Long Beach weekend in Long Beach Sunday, April 14, 2019. Photo by Thomas R Cordova. 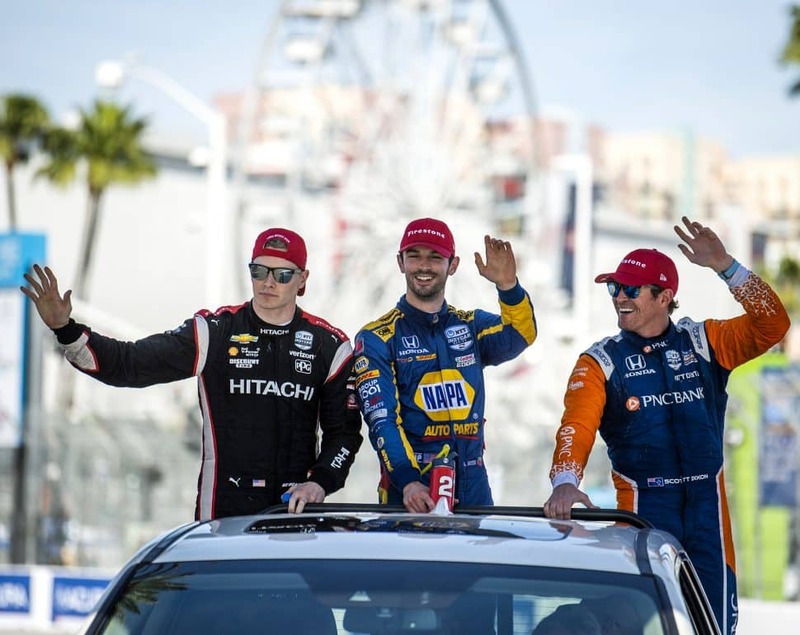 Alexander Rossi, center, wins the Acura Grand Prix of Long Beach as Josef Newgarden, left came in second and Scott Dixon, right third as the three take a victory lap around the track in Long Beach Sunday, April 14, 2019. Photo by Thomas R Cordova. 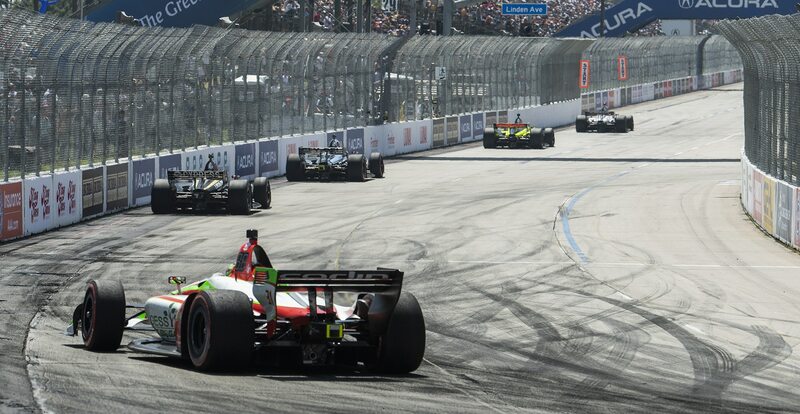 IndyCars come out of Turn 11 and into the front straightaway during the Acura Grand Prix of Long Beach in Long Beach Sunday, April 14, 2019. Photo by Thomas R Cordova. 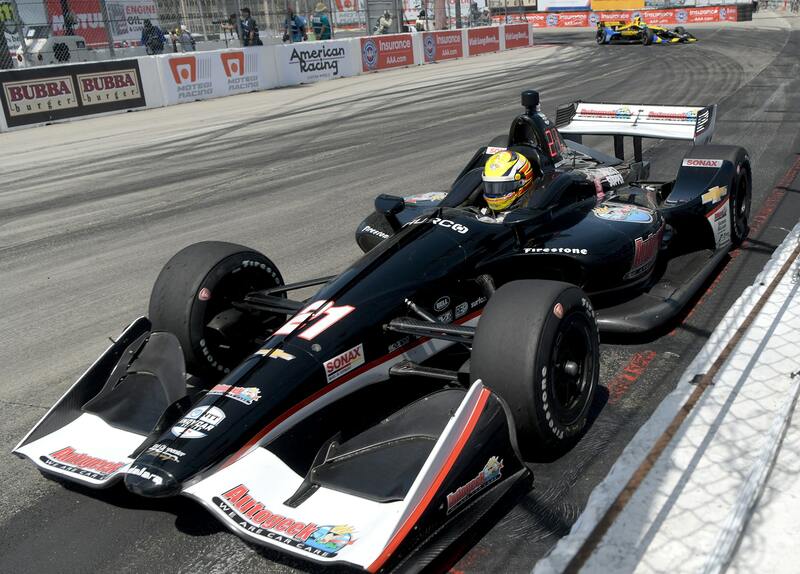 Spencer Pigot comes out of Turn 11 during the Acura Grand Prix of Long Beach in Long Beach Sunday, April 14, 2019. Photo by Thomas R Cordova. 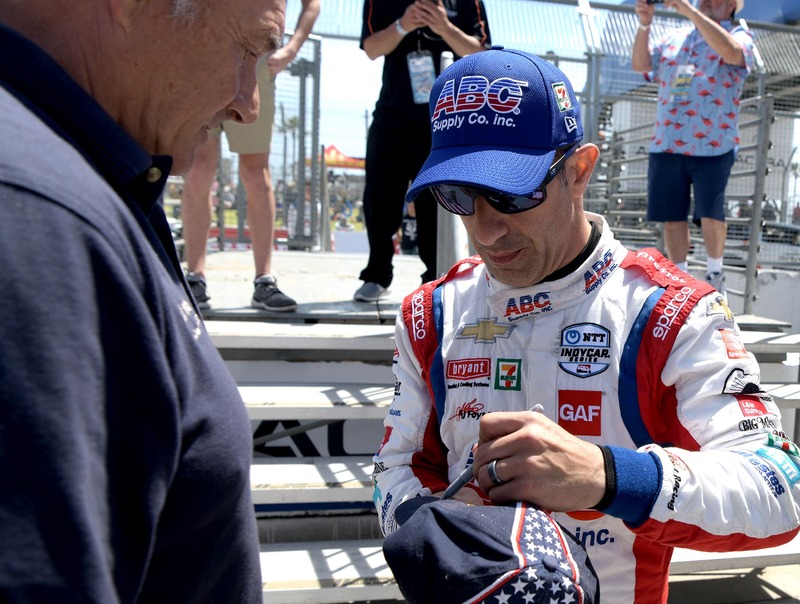 Indy race driver Tony Kanaan signs an autograph for a fan at the Acura Grand Prix of Long Beach in Long Beach Sunday, April 14, 2019. Photo by Thomas R Cordova. 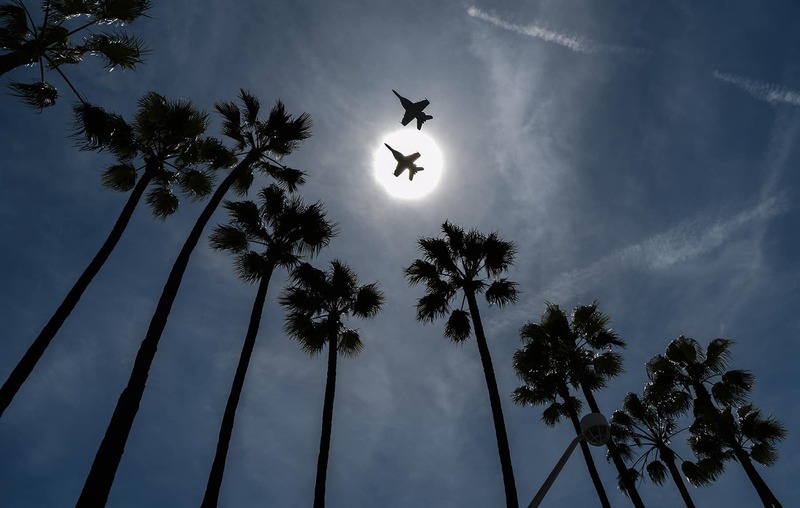 U.S. Air Force planes fly over the Acura Grand Prix of Long Beach in Long Beach Sunday, April 14, 2019. Photo by Thomas R Cordova. Fans walk through the Indy cars during the pre-race of the Acura Grand Prix of Long Beach in Long Beach Sunday, April 14, 2019. Photo by Thomas R Cordova. Alexander Rossi #27 leads the pack coming out of Turn 11 during the Acura Grand Prix of Long Beach in Long Beach Sunday, April 14, 2019. Rossi went on to win the race. Photo by Thomas R Cordova. 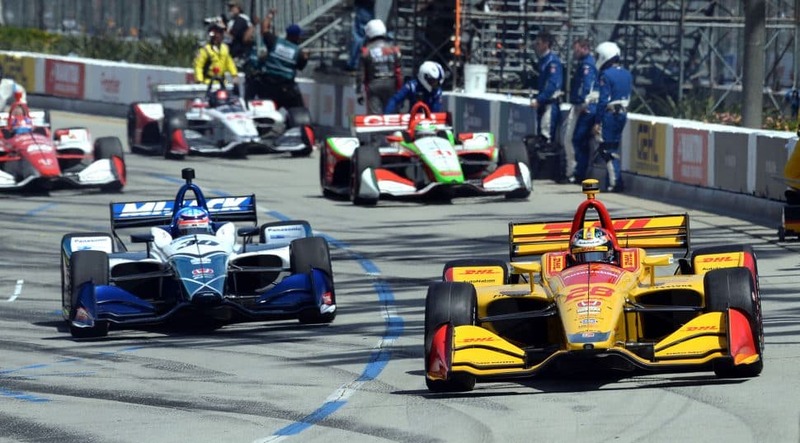 IndyCars come out of Turn 11 during the Acura Grand Prix of Long Beach in Long Beach Sunday, April 14, 2019. Photo by Thomas R Cordova. 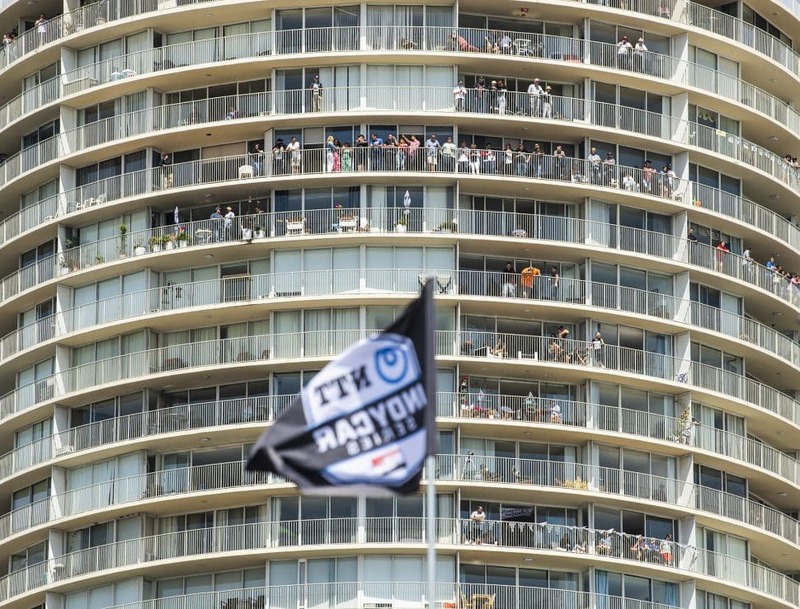 Fans watch the Acura Grand Prix of Long Beach from International Tower in Long Beach Sunday, April 14, 2019. Photo by Thomas R Cordova. 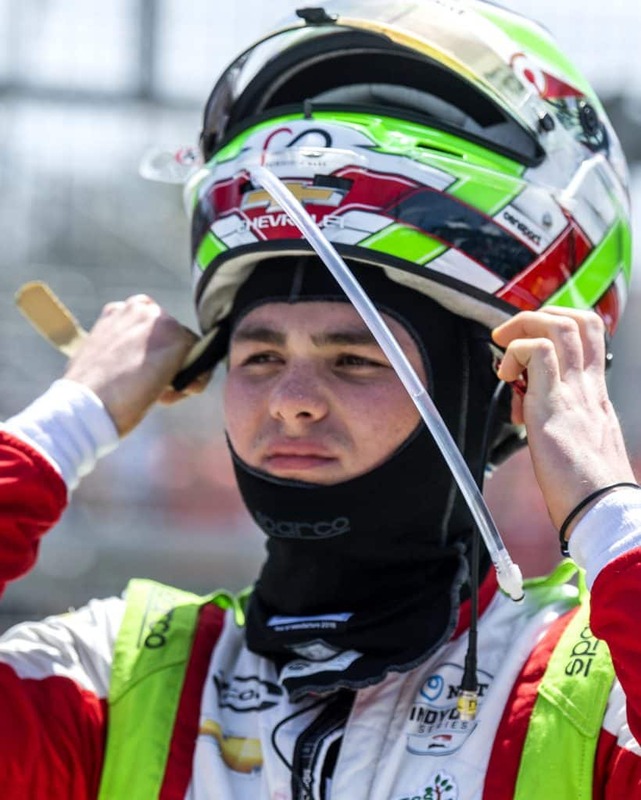 Patricio O’Ward #31 puts on his race helmet before the start of the Acura Grand Prix of Long Beach in Long Beach Sunday, April 14, 2019. Photo by Thomas R Cordova. 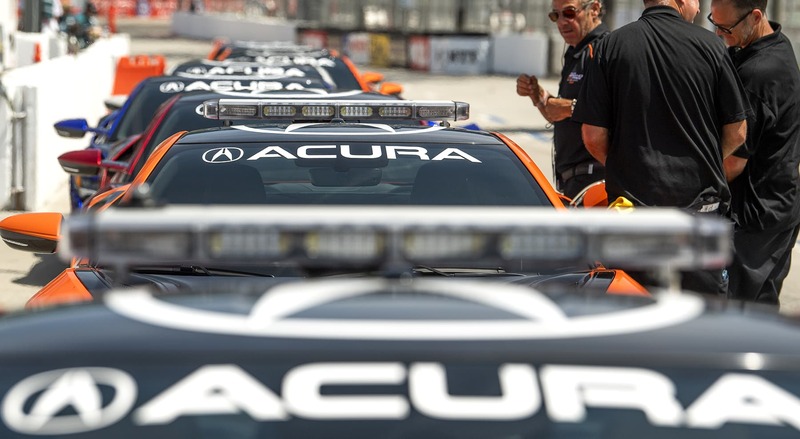 The Acura Pace cars line up before the start of Acura Grand Prix of Long Beach, Sunday, April 14, 2019. Photo by Thomas R Cordova. 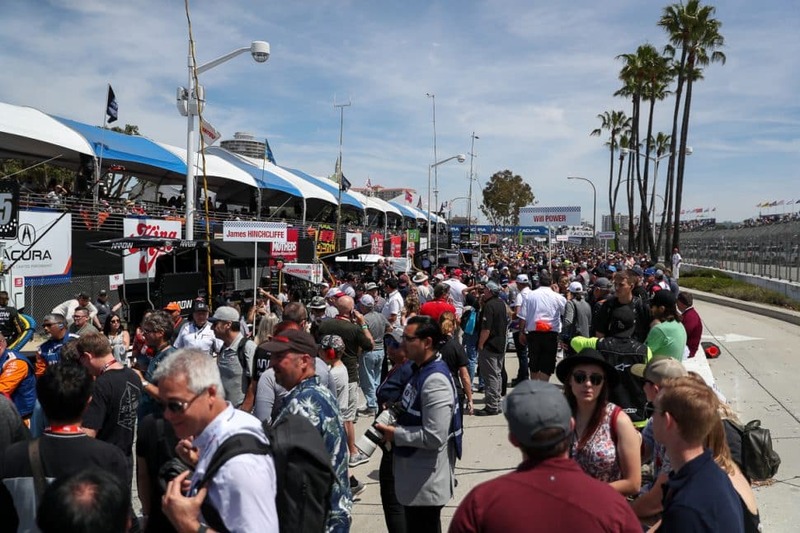 The crowd in the grandstand watches the Acura Grand Prix of Long Beach on Sunday, April 14, 2019. Photo by Thomas R Cordova. 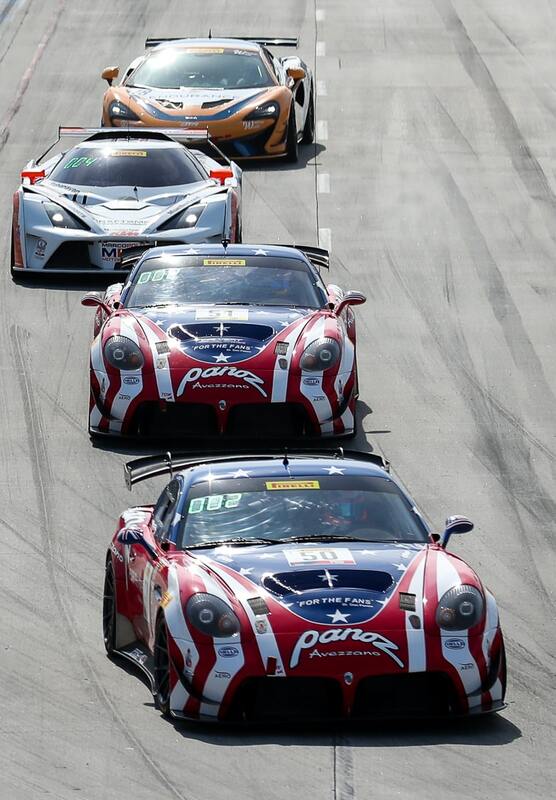 GT4 drivers Shane Lewis, #74, Matt Brabham, #20, and Jarett Andretti, #18, round the hairpin and head toward the straightaway, during the Pirelli GT4 America Race, at the 45th Acura Grand Prix of Long Beach, Sunday, April 14, 2019. Photo by Stephen Carr. 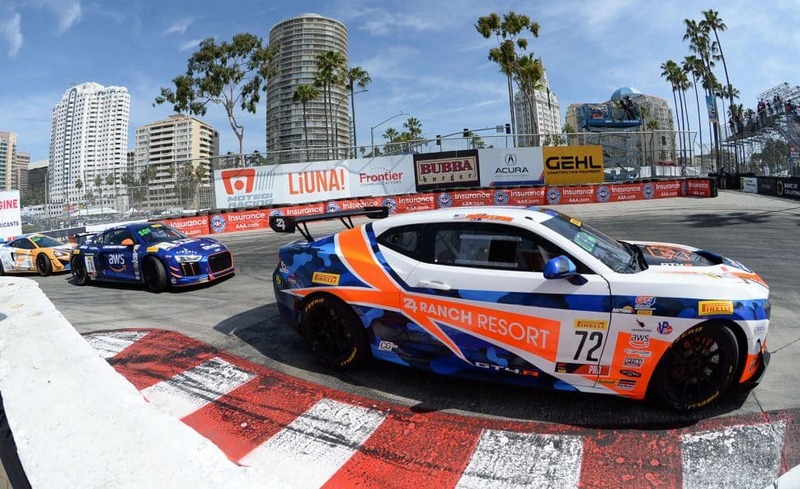 GT4 driver Shane Lewis, #74, rounds the hairpin during the Pirelli GT4 America Race, at the 45th Acura Grand Prix of Long Beach, Sunday, April 14, 2019. Photo by Stephen Carr. 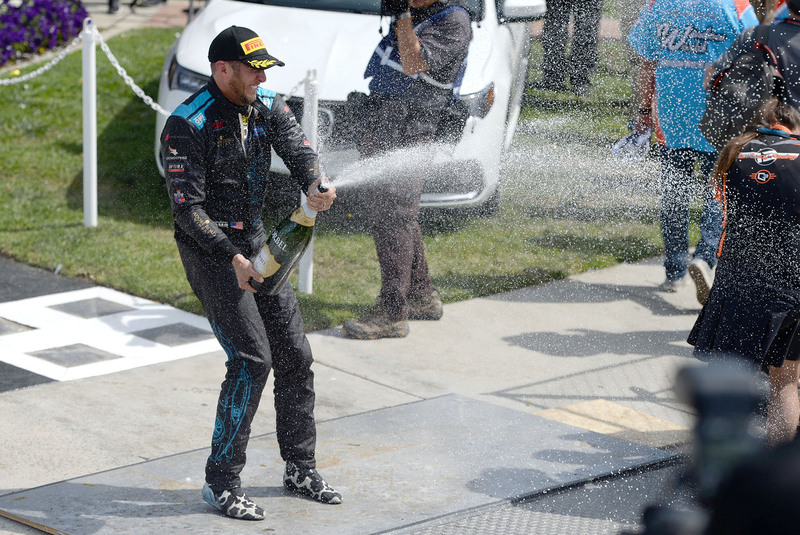 Pirelli GT4 America Race winner Spencer Pumpelly sprays the crowd with champagne in the winners circle, at the 45th Acura Grand Prix of Long Beach, Sunday, April 14, 2019. Photo by Stephen Carr. 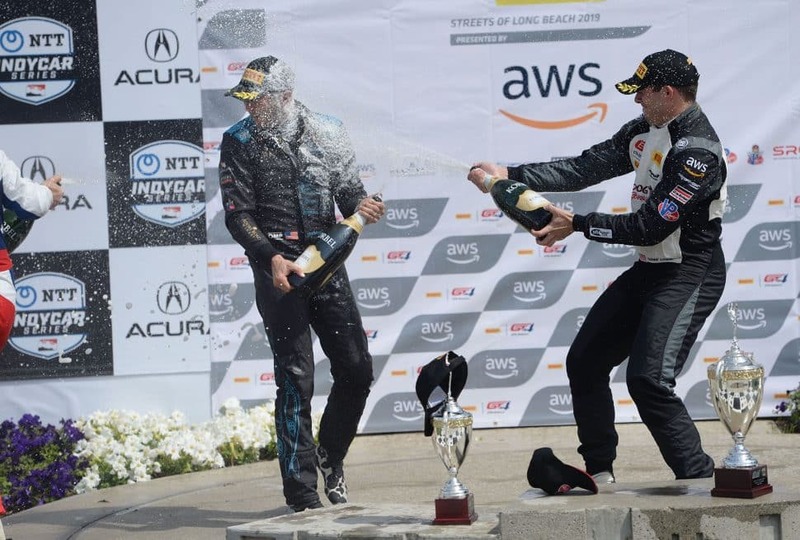 Pirelli GT4 America Race winner Spencer Pumpelly, left, is sprayed with champagne by third place finisher Michael Cooper, at the 45th Acura Grand Prix of Long Beach, Sunday, April 14, 2019. Photo by Stephen Carr. 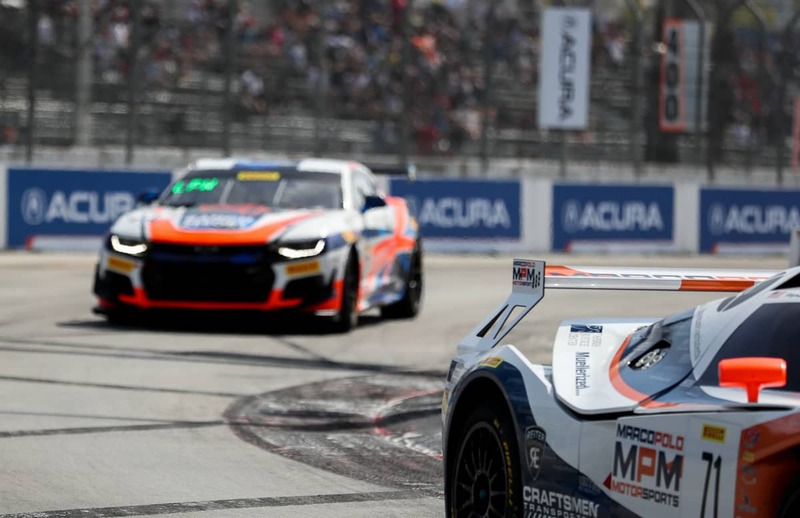 GT4 driver and second place finisher Ian James, left, and first place winner Spencer Pumpelly, round Turn 10 during the Pirelli GT4 America Race, at the 45th Acura Grand Prix of Long Beach, Sunday, April 14, 2019. Photo by Stephen Carr. 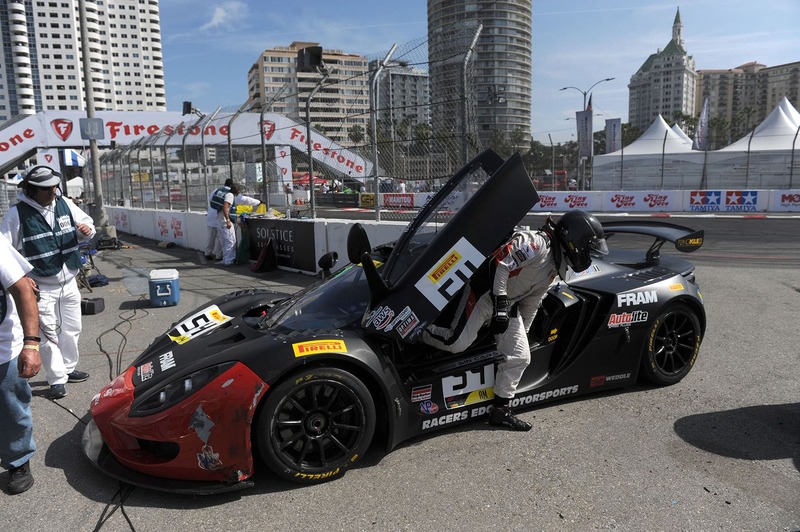 GT4 driver Bob Michaelian walks away from his car at Turn 10, after it was damaged during the Pirelli GT4 America Race, at the 45th Acura Grand Prix of Long Beach, Sunday, April 14, 2019. Photo by Stephen Carr. 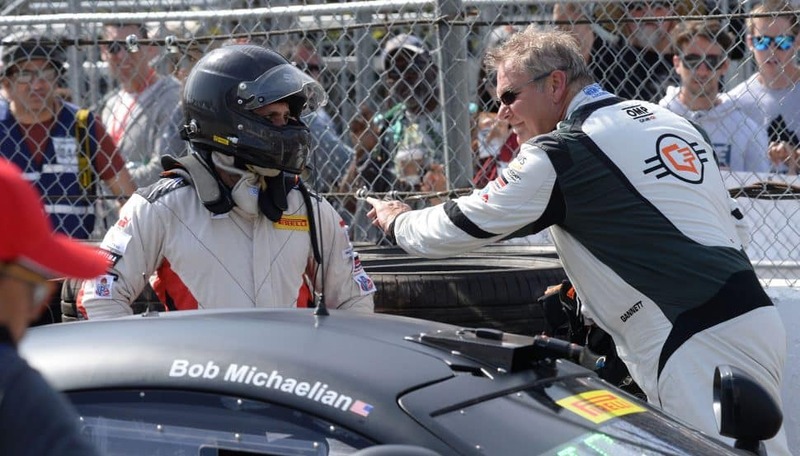 GT4 driver Bob Michaelian, left, is consoled by driver Frank Gannett after both cars were damaged during the Pirelli GT4 America Race, at the 45th Acura Grand Prix of Long Beach, Sunday, April 14, 2019. Photo by Stephen Carr. 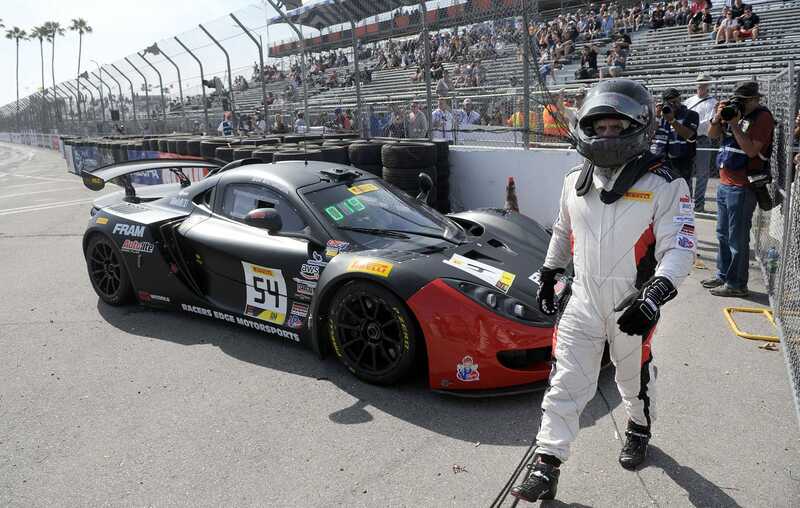 GT4 driver Bob Michaelian gets out of his car at Turn 10, after his car was damaged during the Pirelli GT4 America Race, at the 45th Acura Grand Prix of Long Beach, Sunday, April 14, 2019. Photo by Stephen Carr. 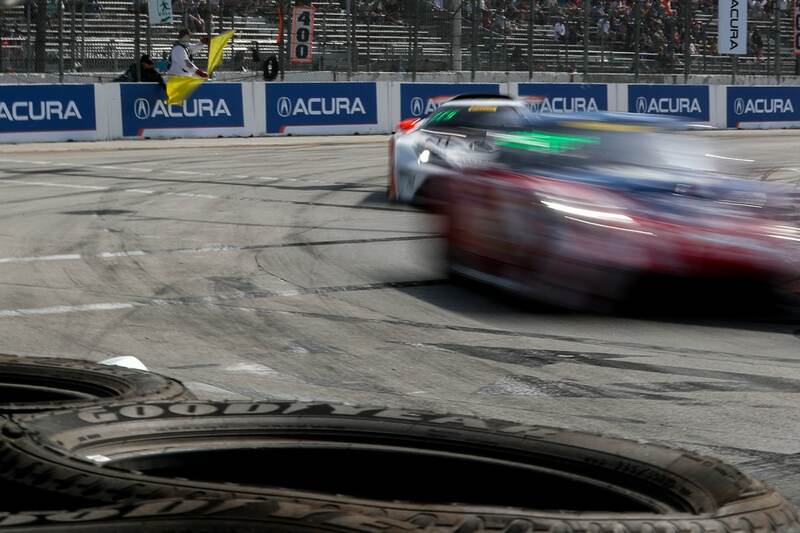 Pirelli GT4 American Series cars race down the straightaway at the Acura Grand Prix in Long Beach on Saturday, April 14, 2019. Photo by Kelly Smiley. 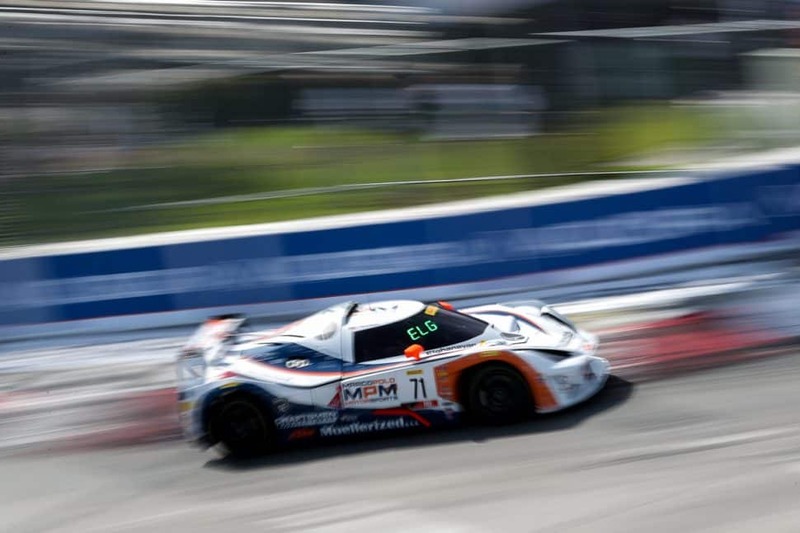 Nicolai Elghanayan zooms by during the Pirelli GT4 American Series race at the Acura Grand Prix in Long Beach on Saturday, April 14, 2019. Photo by Kelly Smiley. 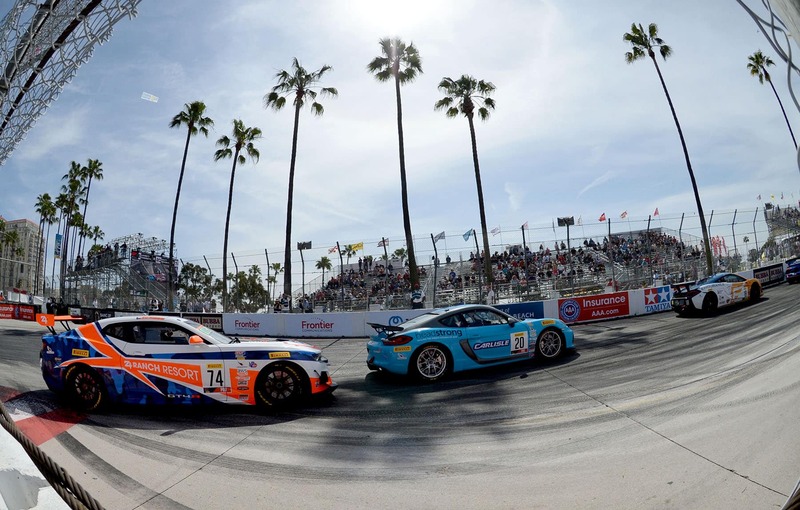 Pirelli GT4 American Series cars turn the corner at the Acura Grand Prix in Long Beach on Saturday, April 14, 2019. Photo by Kelly Smiley. 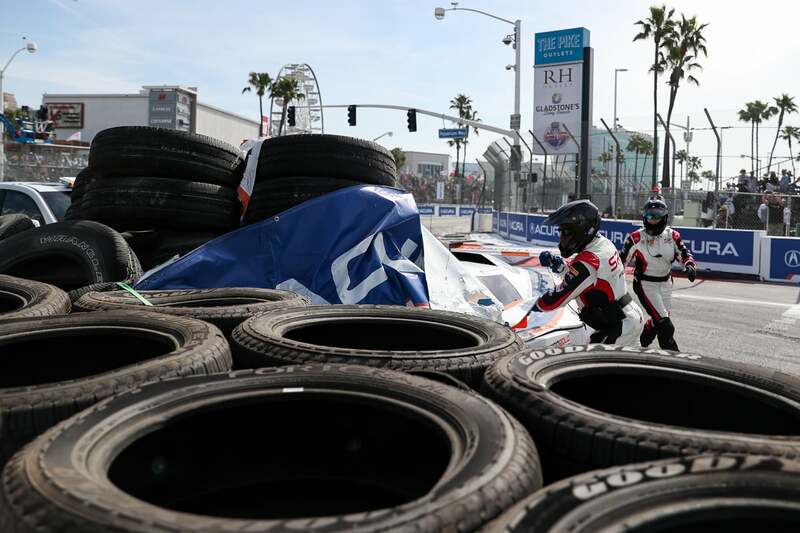 Nicolai Elghanayan crashes into the barriers during the Pirelli GT4 American Series race at the Acura Grand Prix in Long Beach on Saturday, April 14, 2019. Photo by Kelly Smiley. 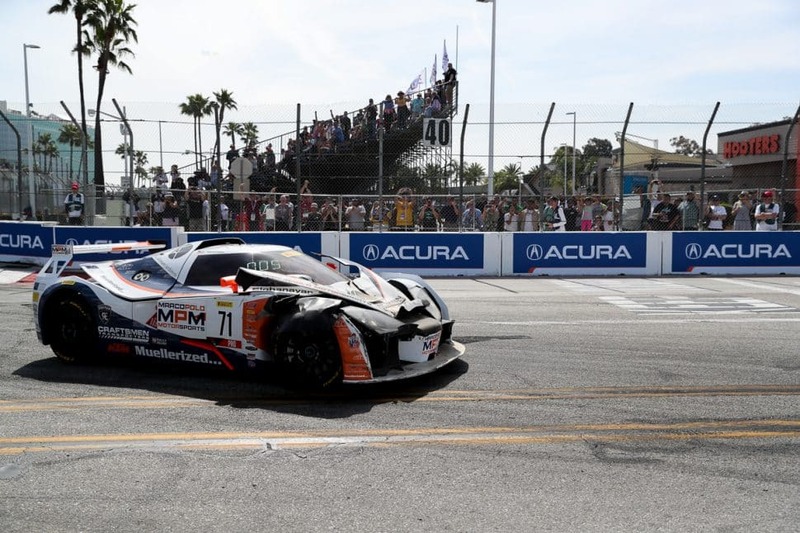 Nicolai Elghanayan after crashing into the barriers during the Pirelli GT4 American Series race at the Acura Grand Prix in Long Beach on Saturday, April 14, 2019. Photo by Kelly Smiley. A view of the Queen Mary at the Acura Grand Prix in Long Beach on Saturday, April 14, 2019. Photo by Kelly Smiley.